MYOFS: Print suits: where to get? 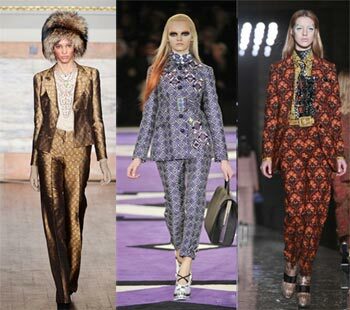 There are two hot trend that I really like this season: total flower print and leisure suits. So why not to combine them? Fashion bloggers have already tried them on! Willabelle Ong, Laura Allard-Fleischl, and Jessica Stein. Great designers have perfect shape,colors and texture of these suits. And they are totally awesome! But of course there are cheaper versions of those that you can find in different stores. Here I got for you some places to shop for flower print suits. Mango and Topshop have really great suits with a reasonable price. Although if you are looking for something more sporty,go and check out H&M! H&M offers bomber jackets and blouses instead of suit blazers and the price is even better if you are looking for something really inexpensive. So good luck with the shopping for the latest trends for Autumn 2012/Winter 2013! awesome post, very inspirational. Now if only I could afford Stella Mccartney!